We are often asked how long it will be after a quit begins to be “THERE,” that place where cravings are gone, we feel at peace and no longer think of smoking. Some think it should be after a month or two. Others want it to be NOW for heaven's sake! We give guidelines, but just as every quit is unique, so is everyone's journey. I was reminded of this at my 12 day check-up after surgery to implant plates and screws to repair both a broken elbow and wrist. I have been carrying around a 15 pound plaster cast and was ready to be “THERE!” I fully expected to leave the office with maybe a small wrist and small elbow brace. Imagine my disappointment when they made a NEW full arm to hand splint – to be kept on for ANOTHER four weeks at least. I was so upset until I realized how unrealistic my expectations, in fact, were. Although it has felt like months because I hate to be inactive, it has only been TWELVE days! Lesson to be learned? All the wanna's and need to's in the world are not going to make the quit journey any shorter or bones heal any faster.......and if we just hang on to give it the time it takes, we will make it to THERE! This is a FABULOUS blog Nancy! Honestly for me anyway, it seemed to all go away without me thinking about it. Totally gone after a year...but hardly noted before that. I think expectations are always overstated when we quit. We want to be free so bad we expect it to blow over fast. For some it does, not for most. My journey had up and down days, dealing with life without smoking...that was what I had to learn. I feel bad your still casted but tis good to keep it immobilized so you can heal. We can't rush healing and we can't rush our quits......they ( Your cast and our journeys ) are there to heal us. Oh, dear Nancy, I wish your "there" was already here, but like you say, our expectations are many times unrealistic. May your "there" be here soon!!! Somethings just cannot be rushed Nancy. Keeping you in my thoughts and prayers for the speediest recovery possible! Remember to take care of you. I hope things will get better soon and you can get back to your normal life. In the meantime do the best you can to be satisfied. Nancy, I had no idea you broke your wrist, get well soon, take some time and just heal. 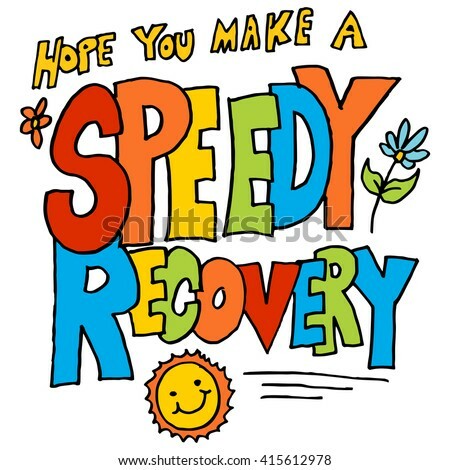 It takes energy to heal so hope you can get enough sleep and proper nutrition during this time of healing. At least you are not smoking at this time , it would only add more difficulty to an already difficult time. Get some rest my girl, and take your vitamins. karenjones, She didn't just break her wrist, she broke her ELBOW...that makes me wince just thinking about it. She fell when she was on vacation and she was going across the WET floor at Starbuck's. How horrible is that? Youngatheart.7.4.12 I did not think your next appointment was for six weeks...four is a LOT better. I know how frustrating it is and I am thinking about you and hoping and praying that you will be CAREFUL...Humpty Nancy cannot be put back together again over and over and over again. No extra exercising or going up and down the stairs...I KNOW you told me one step up and one step down WITH SUPERVISION but you really, really NEED to stick with that. Sending love, enjoy your chocolate. You know, when I had my latest achilles operation (with a gastroc recession) I was told it would be a 12 week recovery. Period. My stitches weren't removed until 4 1/2 weeks after the operation. Our bodies have an amazing ability to heal. But we also tend to think we can "get over it" in a couple of days. Not so. I was disappointed for you until you said it had only been 12 days. In my mind it had been forever already because I was feeling it all along with you. But then what you said made so much sense. It's only been 12 days since you had plates and screws put into your wrist and elbow. TWELVE DAYS!!!! I wonder why they didn't tell you what the scenario would be. After this you go into a splint for X amount of time, then you go into a sling... or whatever. They should have told you what to expect. My scenario was laid out pretty clearly, and so I accepted the amount of time it would take. Anyway it's a great blog about how we aren't THERE until we'e THERE. And getting there takes the required amount of time. More power to ya, darlin'! You'll be all set in time for Spring pool time! lol I just remember kill bill where she ordered her big toe to move lol that helped me a lot and cussing at my feet to move move MOVE!! !I I was told id never walk againIt took me 2 months but chaos was very happy to see me I got all his raptor purrs of love and being scolded not be gone that long ever again! lol. that is y I refuse to go to the hospitals now a days I really don't trust Hillsdale community health care aka the glorified band aid station. and the nurses on get 3 tries on finding a vein, and they get booted out. lol I got a tummy tuck and I had bandaids on that need to be removed before I had to take a shower and the head nurse told he assistant to come tell me to take a shower with the band aids on, I told this poor girl to tell the head nurse to do her damn job lol but a lot more cuss words. lol and iwould text my plastic surgeon and let him know everything wrong they were doing. lol and then he in turn told them he knew because I texted him. Yeah, I give nurses three tries too finding a vein before I say, THAT'S IT! GET ME SOMEBODY WHO HAS MORE EXPERIENCE! But then I learned about "butterfly needles." They're much smaller, go in easier. (This is just for taking blood, not other vein necessities - sometimes you need bigger needles for those scenarios, I understand.) Some veins are hard to find. Some veins roll. I understand. I also understand that some people are better at finding them than others and better at getting the needle into them than others. Whatever the case I also have learned that 3 sticks and you're done, honey! NEXT! Took me many years before I learned I didn't need to be a stick pin cushion. I've also learned that it's good to drink a lot of water before getting a vein prick because it helps to pump up the vein. Of course if you have to fast before an operation - that's not possible But otherwise it works GREAT!